Whether you’re moving out, moving in, or just need some basic upkeep of your apartment, Clean Arrival LLC has a solution for you. Our apartment cleaning experts understand and listen to your needs. We provide the best apartment cleaning services around. Worry no more about harsh landlords and moving pains. With trustworthy, reliable, and efficient cleaning staff we provide the highest level of customer service out there. We are continually training our professionals to grow our service. Relying on the best techniques to safely clean your apartment. Ultimately leaving behind a happy healthy environment for you. Clean Arrival is a fully licensed and insured local small business. We guarantee we will work as hard as possible to provide the same level of service we would expect in our own homes. Everyone has a busy schedule nowadays. With a smaller home or apartment that leads to a faster build-up of clutter and debris. We offer convenient flexible scheduling. Ultimately allowing you to tailor your cleaning service around your time. 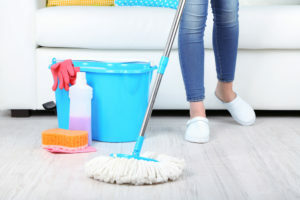 With weekly, biweekly, and monthly service you can have our cleaning experts tackle that clutter on a regular basis without worrying about calling and making an appointment everytime you need a clean. We also offer onetime clean that you can book at will for those with irregular schedules. Looking to move? We’ve all been there. Between finding a new place, packing, organizing, and physically moving you already have a lot going on. Take one thing off your plate and hire our professionals for your apartment cleaning. Our deep clean options is designed to tackle areas of your home you normally don’t get time to clean. We will give your apartment a good scrub top to bottom. You’ll be ready to hand over those keys in no time. Contact us today for a free quote or to schedule an Apartment Cleaning at 503-567-5404. You can also message us on Facebook or email us here.